Episode 26 of the Hinderaker-Ward Experience features an entertaining and explosive interview with Ed Klein, author of The Amateur. 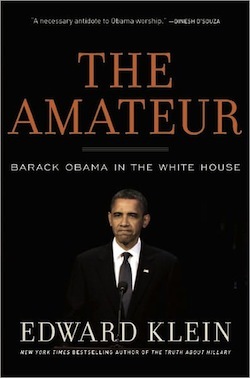 In turn hilarious and appalling, Klein’s book, based on 200 interviews with White House insiders and others, paints a picture of a president who has, quite literally, no idea what he is doing, and is too narcissistic to learn. In addition, Brian and I weighed in on the news of the day, including President Obama’s newfound persona as a fiscal conservative. And, of course, we awarded our Loon of the Week and This Week In Gatekeeping prizes. It’s a podcast you won’t want to miss.